A white van smashed into a crowd on the famous La Rambla, a street popular with tourists visiting the city. The crash occurred after the van jumped the sidewalk, AP reported. Catalan Police said they were treating the incident as a terrorist attack. Two people have been arrested in connection with the deadly van attack in Barcelona, Catalan's regional head Carles Puigdemont has said. The Spanish prime minister said he was on his way to Barcelona to reinforce security in the city. “Maximum coordination to arrest the attackers, reinforce security and attend to all those affected,” Mariano Rajoy wrote on Twitter. 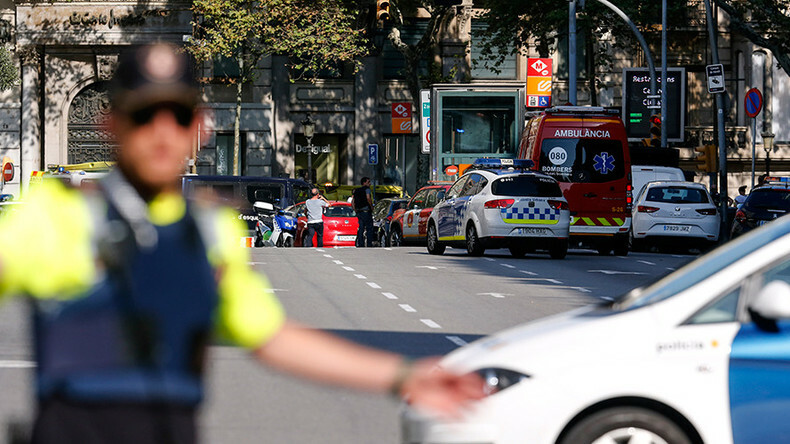 Earlier, the La Vanguardia newspaper reported that one of the perpetrators involved in the van attack had been shot dead by police during a gunfight. Islamic State (IS, formerly ISIS, ISIL) claimed responsibility for the attack through it’s Amaq news agency. The driver of the vehicle escaped on foot, according to El Nacional. The Spanish passport of a person of Moroccan origin was left at the scene of the attack, Barcelona's TV3 reported. Media reports say the suspect behind the attack is a man by the name of Driss Oukabir. A person tweeted following the attack that they were stuck in a restaurant, adding that armed police are "everywhere." Authorities have cordoned off the area and shut down nearby stores. A helicopter could be seen hovering above the scene. Vehicles have been used to ram into crowds in Europe in a series of terrorist attacks since July 2016, when the driver of a truck plowed into people celebrating Bastille Day in Nice, France, killing 86 people. Similar attacks have since taken place in Berlin, London and Stockholm.